Utility work on West Burnside, in preparation for construction of the Barbara Walker Crossing. On Monday, March 25, construction of the the highly anticipated Barbara Walker Crossing will begin. If you have driven over West Burnside this week, you’ll notice that utility work is already underway. Low voltage lines are being relocated underground. Once the crossing is in place, high voltage lines will be going above it. 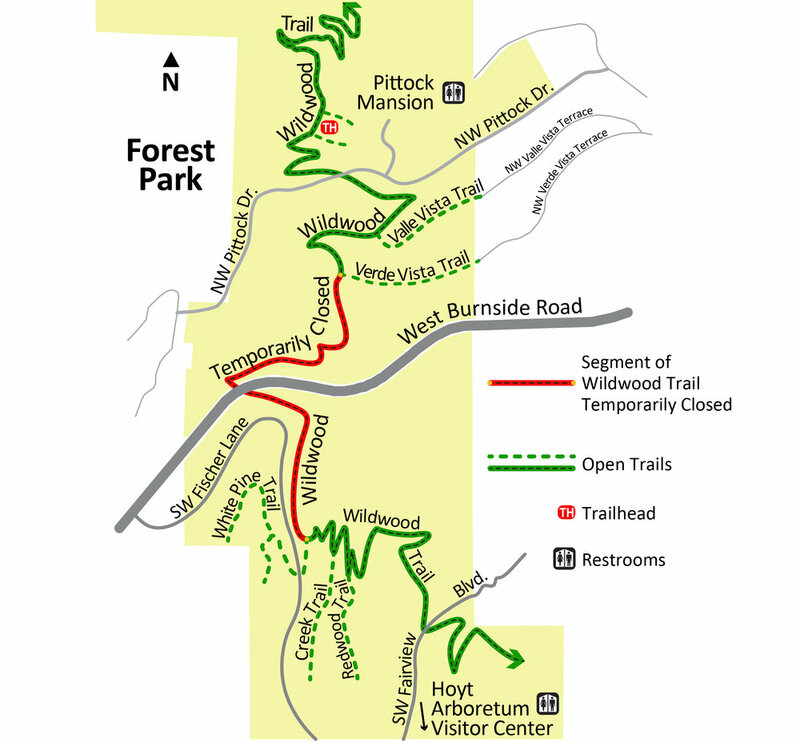 As construction begins, parts of the Wildwood Trail will close starting on March 25, to the south of Burnside for about 1,000 feet within Hoyt Arboretum, and north of Burnside to Verde Vista Trail (towards Pittock Mansion). The trail closures will be in place for the duration of construction. Check our sidebar for a map outlining the trail closure. The Barbara Walker Crossing is scheduled for completion by Fall 2019.